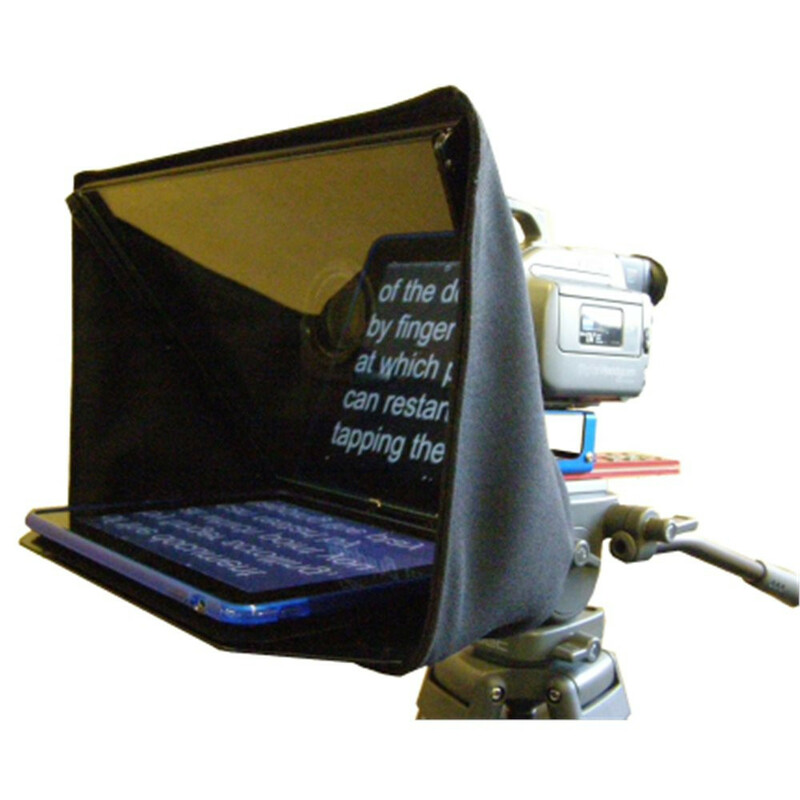 Tablet Prompter for Small camcorders or DV cameras. The 350-001 model is for mounting on non-bar HDV / DSLR cameras like the Canon 5D mark II or III, the 7D, 70D and any other DSLR or mirrorless camera / PTZ style cameras includes small camera plates (Red and Blue), Hood Mount and Plate, Folding Cloth Hood and 2 x glass reflectors. A perfect solution for budget productions. Includes: - small camera plate, folding hood, 2 x glass reflectors.